FANBOY PLANET.com . : MCU-Phase-Two-Boxed-Set-Announce :. With Ant-Man opening this weekend, Marvel's onscreen "Phase Two" officially comes to an end. How can I say that so definitively? Because yesterday Marvel announced that just in time for Christmas, we can order the Phase Two boxed set on blu-ray! Not too many details have been announced as far as the extras go, but somehow I'd been remiss on picking up Phase Two movies. This may be the way I go. Right now, it's available for pre-order exclusively at Amazon. PLUS Top-Secret Bonus Disc and more! The Phase One packaging was a S.H.I.E.L.D. briefcase. 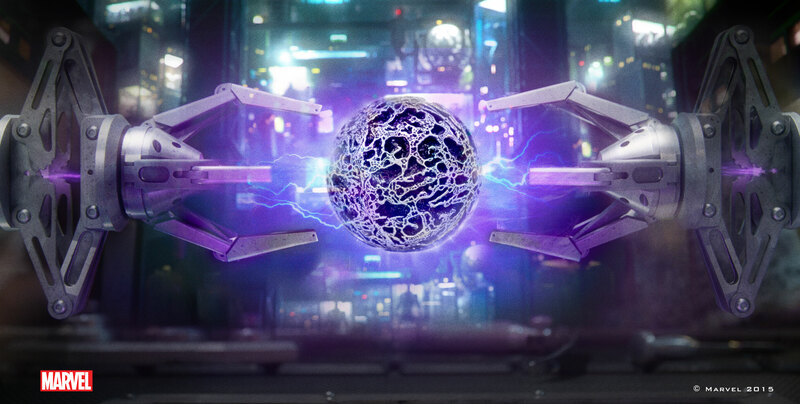 If the publicity image provides a clue, then the packaging for Phase Two will be (appropriately) The Collector's display case for the purple Infinity Gem from Guardians of the Galaxy. But that has not been announced.